"The film sets the bar for what would later become sports profiles. Beyond the grit, the suspense and the heartbreak is a facet of humanity and determination that are rarely captured on film and are timeless." 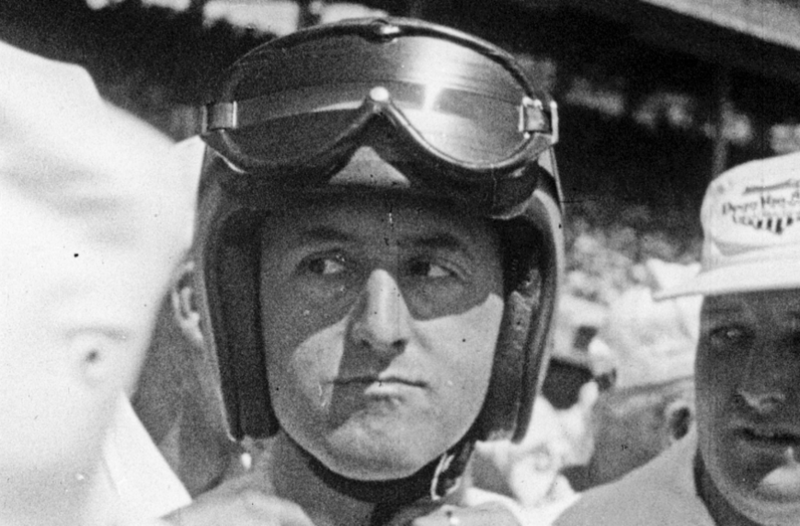 "Here's a fascinating and unique look at one of the most popular drivers in the history of the Indianapolis 500, Eddie Sachs." "The suspense, absolutely unforeseeable, and rendered just as the spectators of the race lived it, is so impressive that I leave you the surprise of seeing it." The final re-make of the 1960 Drew Associates’ classic “On The Pole,” which was enlarged and re-edited as “Eddie” in 1961 (hailed as a revolution in filmmaking in Paris in 1962), “On The Pole: Eddie Sachs” captures the enduring obsession of one of the most charismatic auto racers in U.S. history, Eddie Sachs. Far more than a sports film, this is a story about a man’s unwavering determination to keep competing in a race he believes he’s destined to win. Twice in a row, Sachs blazes through the initial time trials and earns the coveted first-place starting position (so he is “on the pole”), in both the 1960 and 1961 Indianapolis 500. As he nervously awaits the iconic command — “Gentleman, start your engines” — we see Sachs weep, pray, mangle his goggles, and mop his brow, eager for the race to begin. Scenes with Eddie and his wife before the race, as he recounts to all who will listen his love of the sport and his particular approach to steering at eye-popping speeds, create a bond with the man behind the wheel that never falters. Executive Producer Robert Drew once described how he discovered Eddie Sachs. Drew was at the Indy race track scouting for a story when he overhead Eddie on the telephone with someone: “I heard a driver telling how he turned a corner. He spoke with such passion that it raised hairs on the back of my neck.” Drew knew he had a character worth filming. He and Richard Leacock rode along with Eddie in an old Buick, as the racer began to talk about his strategies for surviving the dangers of the race. “If I see a crash up ahead, I steer right for it because I know that by the time I get there, the wreck will be at another place on the race track,” Eddie enthuses. Drew and Leacock were so entranced with Eddie that they filmed him racing two years in a row. Sachs couldn’t finish the first race because of his car’s mechanical failure. He loses the second race by a hair after he makes an emergency stop to replace a fraying tire. He is last seen in the film vowing to be back, knowing that he can win. We learn in the coda to “On The Pole: Eddie Sachs” that at the start of the 1964 Indy race, there is a crash up ahead. Eddie heads straight for the flaming wreck. The wreck does not move. The film ends in memoriam to Eddie Sachs.